It's week 3 of the Focus T25 workout. Calves are still taking a beating from all of the hopping around, but there has been a shift in priority as the workouts change. So, we are slowly doing more of the Total Body Circuit. That's cool, because that is the exercise that feels more generally beneficial and Speed 1.0 is one of the hopping-heavy ones. 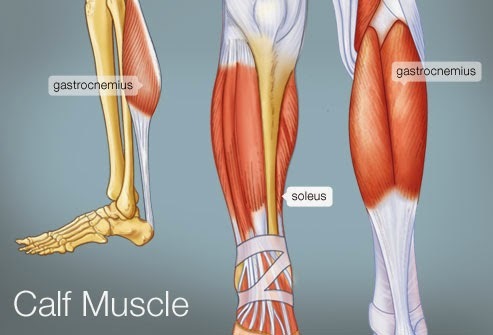 Calves are dense enough muscles that conventional wisdom says you can afford to work them without rest days. That said, some of these workouts have an absurd amount of hopping and staying on your toes. My calves are absolutely the muscles where I feel the greatest sense of "crap, I made need to step down any second now." But, I am managing to push through. But that pushing through might be bad. There are exercises that follow a lot of hopping, jumping, etc. in which I am having a tough time focusing on the current exercise and/or maintain ideal form because my calves are still tight from the previous movement. However, the transition towards more Total Body Circuit is great, as that one does not overdo anyone muscle, including the calves. * - I don't think absolute numbers are meaningful. Relative numbers to my target shoiuld be more informative. Not surprisingly, the results and quality of the workouts is clearly better when I split the two Friday workouts over Friday and Saturday. This results in a routine 30 minutes of something every day. I don't get a day of complete rest, but the Stretch routine on Sunday is not that big of a deal and my yard work is probably a greater threat to my recovery than it is.